For Existing Trees. Apply 5 pounds LIFE extending to the edge of the foliage. The following guide is for a one (1) gallon pot. 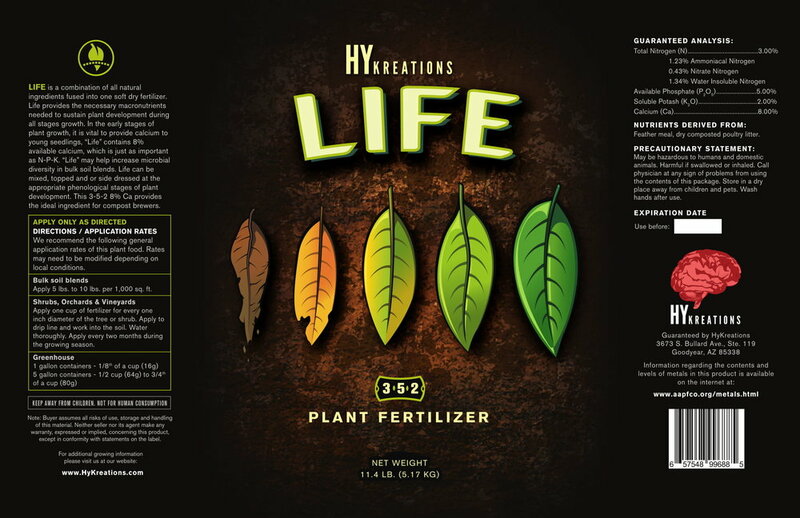 Mix Life at a rate of 1/4 to 1/2 ounce to one (1) gallon ( 4 liters) of soil substrate. For best results use in conjunction with Heart and Acktina every watering at 2 ml per gallon of water.